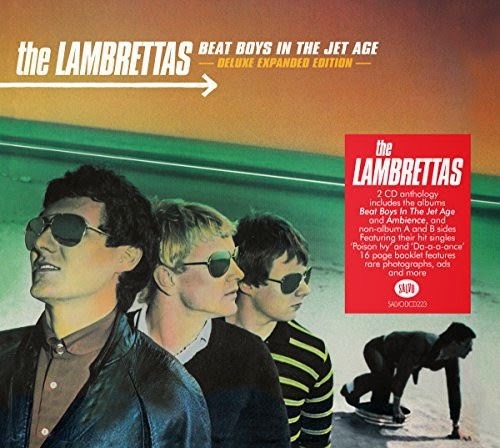 Discussions Magazine Music Blog: SPAZ reviews THE LAMBRETTAS' Beat Boys In The Jet Age! SPAZ reviews THE LAMBRETTAS' Beat Boys In The Jet Age! First things first: Beat Boys In The Jet Age, the 1980 debut album by The Lambrettas, is one of my favorite albums of all time. It is right up there with numerous albums by The Beatles, Badfinger, Squeeze, Elvis Presley, Shoes, Split Enz,etc. It is right up there with semi-obscure platters from bands like Blanket Of Secrecy, Fingerprintz, The Records, Four Out Of Five Doctors, The Laughing Dogs, et al. It is an album that brings a feeling of euphoria to my soul, a smile to my face and hope to my heart. I even have the LP cover framed up in my bedroom – it isn’t autographed or rare, but it is an album that meant so much to me 35 years ago and means much more to me today. It is an album that reminds me of my last gasp of youth (I was 16 when it was released). To say I love this album would be an understatement. “One of the most exciting British musical movements of the late ‘70s and early ‘80s was the short-lived mod revival. While the Jam may be credited with kick-starting the movement, it's bands like Secret Affair, the Chords, Squire, and the Lambrettas that are most closely associated with all things mod. The closest musical equivalent to mod was the power pop scene that was sweeping the U.S. at the same time (the Knack, 20/20, Paul Collins' Beat, the Plimsouls, etc). 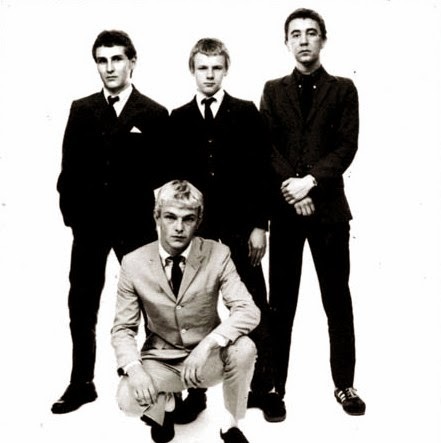 Of all the mod bands that emerged from the U.K., the Lambrettas were easily the most commercially accessible and should have easily transcended and outlived the mod revival tag, but it was not to be. With more hooks than a fisherman's warehouse, their 1981 debut album, Beat Boys in the Jet Age, was an amazing collection of great songs and remains one of the most underappreciated albums of the ‘80s. While Peter Collins' polished production may not have showcased the grit and grime of their live sound, it is the infectious energy and classic British songwriting that make this album a real treat. From start to finish, top to bottom, Beat Boys in the Jet Age is every bit the "classic" album and deserves to be heard by anyone with a passion for power pop, jangle pop, mod, and new wave. Surprisingly enough, I love the album more today than I ever have in my life. It is an album that not only fills me with memories of being young, it fills me with a joy for life. Yes, mighty big words for a Pop album, eh? There is just something about the songs that really hit home for me. Is it the chord changes? The production? The lyrics? The performances? It is actually all of those combined… and then some! I can’t explain what it is, though. There is joy and energy there, but there is also a slight twinge of melancholy, too. Thankfully, you will all have the opportunity to buy this album for yourselves because those fine folks over at Salvo Music have released Beat Boys In The Jet Age in a Deluxe 2CD Expanded Edition! Disc One features the album in its entirety – all 32 glorious minutes of it! Disc Two contains their second album, Ambience, as well as 10 non-album bonus tracks spanning their entire career. To my knowledge, this is pretty much their entire recorded output. I stand by those words, but there are some great songs on the album including “Decent Town” and “Good Times.” Of the bonus tracks, most of them are ace including their final b-side, “Nobody’s Watching Me,” which had the Pop smarts of their debut album but the somewhat damp production of their second. All in all, Disc Two is very much worth your time but don’t expect more of what came on Disc One (apart from some of the early b-sides). The Jam may have started the mod movement, but I’m quite sure that Beat Boys… is my favorite album of the mod movement and of 1980. It stands the test of time… and this two CD set should be purchased as soon as possible. Oh, look! I’ve made buying this release easy by providing links below! SPAZ - Thanks for your very kind words about our old stuff from all those years ago. Much appreciated! Thank YOU for the music! Still means so much to me 35 years later! And always will!